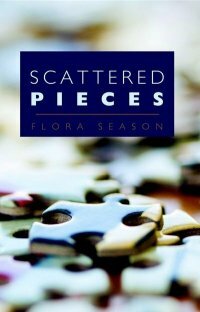 Scattered Pieces is certainly an appropriate title for Flora Season’s debut memoir, for the book reads like a collage of images and incidents from the author’s difficult yet ultimately triumphant life. Yet the pieces are by no means random recollections. Rather, the book represents Season’s efforts first at figuring out how she gained a reputation as a promiscuous youth (despite doing her best to remain chaste) and, later, at using that knowledge to move her life in a new direction. Indeed, if the book has a single argument, it’s that the only way to break free from the chains of a troubled past is to confront one’s history head-on and with no apologies. While the grand sweep of Season’s narrative certainly offers the reader much to consider, the action also moves at a fairly fast clip. Some paragraphs could easily be developed into chapters, some chapters into book-length memoirs in their own right. All of this is to say that Scattered Pieces offers a glimpse of what is to come from an author whose odyssey from childhood to young adulthood and beyond is as checkered yet hopeful as any memoir on the market. The novel focuses on three characters whose loosely connected lives suggest that none of us are alone in the struggle to make sense of the world. In one strand of the narrative, a woman with a starfish tattooed to her breast visits her brother in a mental institution and subsequently embarks on a journey into her own difficult past. 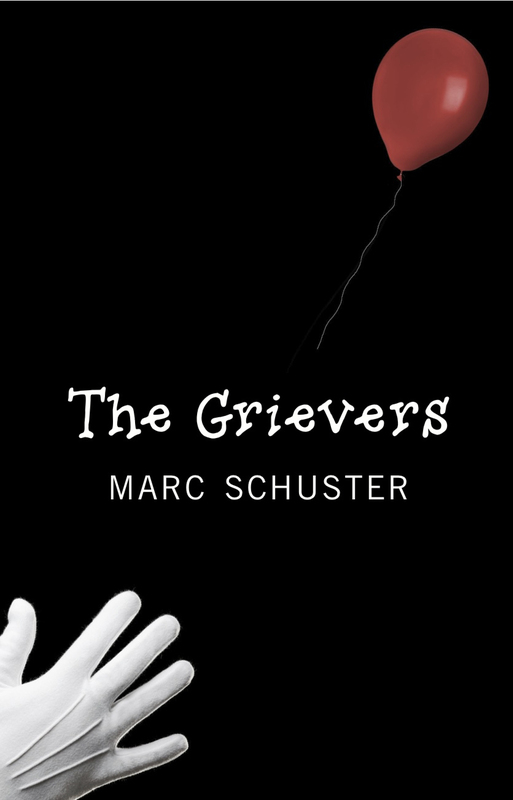 In the second strand, a dramatist wrestles with the emotional impact of the dissolution of his marriage following the death of his infant daughter. In the third strand, an arts critic finds himself committed to a mental institution after attacking a stripper. Though only the first and third strands come together directly (the woman with the starfish tattoo is the sister of the committed arts critic), all three narratives complement each other in terms of both imagery and thematic content. What is especially clear throughout Do Something Do Something Do Something is that Joseph Riippi is a student of the human heart and a keen observer of emotional complexity. His characters are all broken in some way, yet he has the patience to follow them on every step along their crooked paths to wholeness, even if said wholeness is no more than an illusion. 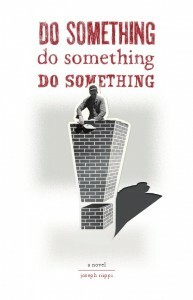 A strong debut novel in the tradition of One Flew Over the Cuckoo’s Nest and, to a lesser extent, The Catcher in the Rye, Do Something Do Something Do Something is, with any luck, a precursor to a body of work that will shine new light on the darkest recesses of the human heart for years to come. I’m fairly certain this Joseph Riippi guy and I would get along well. 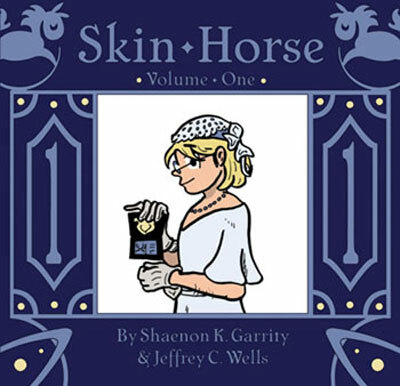 As bizarre as it is, Skin Horse is also funny and smart, with hints of Jonathan Swift’s keen sense of satire (not to mention his penchant for the absurd) and Neil Gaiman’s playful faith in magic of all forms. Among the sentient non-humans the team encounters over the course of their adventures are a race of opera-loving silverfish, a tribe of centipedes gifted in handicrafts, and an overbearing crystalline intelligence with a talent for political machinations. That they’ve all been living for years beneath Skinhorse HQ without any members of the team being aware of it only underscores the subtle (and not-so-subtle) jab that authors Shaenon K. Garrity and Jeffrey C. Wells are making at both governmental bureaucracy and the human condition: stuff gets done despite, not because of, our greatest efforts to do it. Artistically, the comic strips that constitute Skin Horse are a cross between Doonesbury and Tintin, with a slight manga flare that lends itself nicely to the tongue-in-cheek violence of the proceedings. What’s more, Garrity and Wells work wonders with the daily strip format, extending the premise-setup-punchline formula of gag-oriented strips to monstrously ludicrous proportions as each day’s joke builds upon the last to create teetering narrative towers of Rube Goldberg proportions. To put it another way, as the plot lines grow more ridiculous, the story gets better and better. 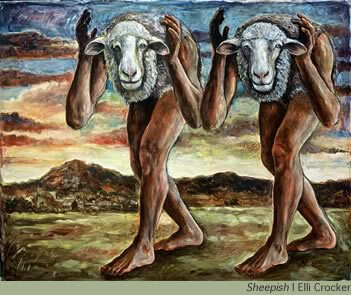 The only problem, of course, is that I can’t figure out how to get the crazy buggers out of my head. 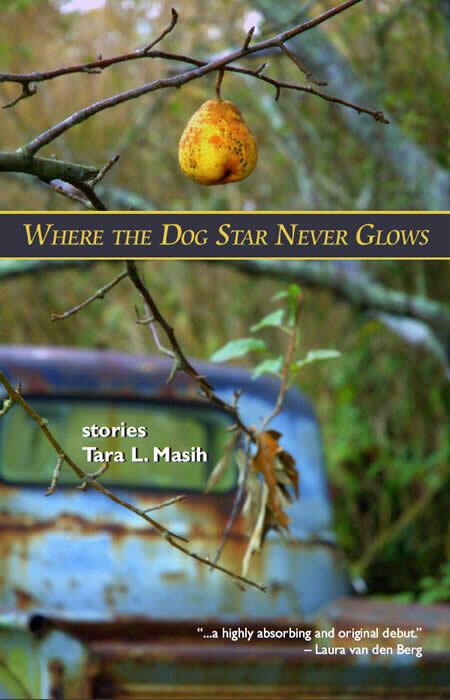 The first thing that will strike anyone who reads Where the Dog Star Never Glows is the absolute precision of author Tara L. Masih’s prose. 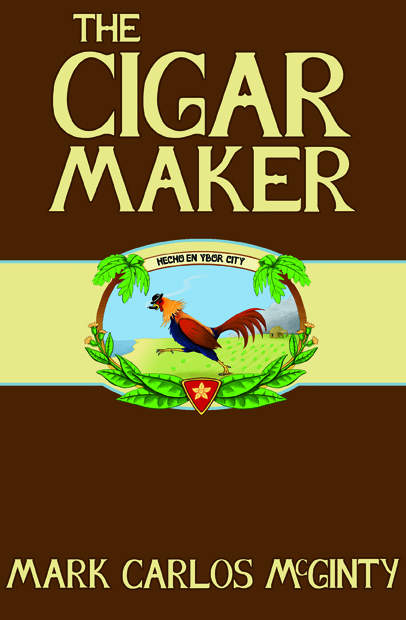 Throughout this collection of short stories, Masih firmly establishes herself as a master of what Gustave Flaubert (among others, including Nelson Muntz) described as le mot juste. Hers is a vocabulary wide-ranging enough to speak with studied expertise on matters ranging from tourist traps in tropical climes to the last moments of old men in tired coal mining towns, yet natural enough to talk about the trials and tribulations of a young mother-to-be in the simplest of terms, like starting a Jeep and heading for the Circle K to buy groceries. In other words, Masih has done what so many other writers spend a lifetime attempting: she’s grown so comfortable with words — the very stuff, the atoms of literature itself — that she can breathe life into the fictional worlds of her imagination with the greatest of ease. At least, that’s how it feels from the outside. Like the best of artisans, she makes her job look easy. Masih, however, is not just a wordsmith. She’s also a master of navigating the loneliest reaches of the human heart. In a story titled, “Say Bridgitte, Please,” she follows a lonely schoolgirl down a path toward what may either be self-discovery or self-destruction, proving, as Carson McCullers once suggested, that the heart is the loneliest of hunters. Yet the author’s vision is not without hope: early on, Masih offers “The Guide, The Tourist, and the Animal Doctor,” in which the key to the human heart is revealed to, on occasion, take the form of a pair of tennis shoes; while later in the collection, a very short piece titled “Suspension” suggests that the kindness of strangers can offer the greatest comfort any of us might ever hope to experience. We are all lonely in some way, Where the Dog Star Never Glows reminds us, yet, in the end, loneliness is only what we make of it. Where the Dog Star Never Glows is an amazing collection of short fiction that introduces Tara L. Masih as a true artist of the short story whose way with words is matched only by her intuitive grasp of all that makes us human. 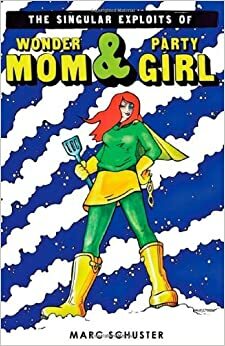 Needless to say, I can’t wait to see what this author does next. 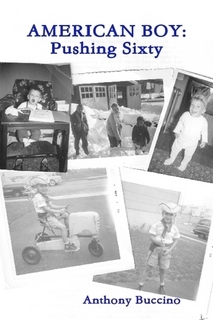 Anthony Buccino’s latest collection of poetry, American Boy: Pushing Sixty, casts a nostalgic eye back at the past while sizing up the future with a wary mix of doubt and hope. Reminiscent of Kermit Moyer’s novel-in-stories, The Chester Chronicles, the first movement of American Boy explores the often-paradoxical psychic landscapes of the United States in the 1950s and 60s. Here, we find a black and white world where father always “knew best/When he left it to Beaver” while Beaver—or at least his contemporaries—hid under schoolroom desks, waiting for Russia to drop the bomb. We are all beholden to the passage of time, Buccino reminds us at every turn — and what we do with the precious time we’re allotted is the best, and perhaps only, measure of our humanity.